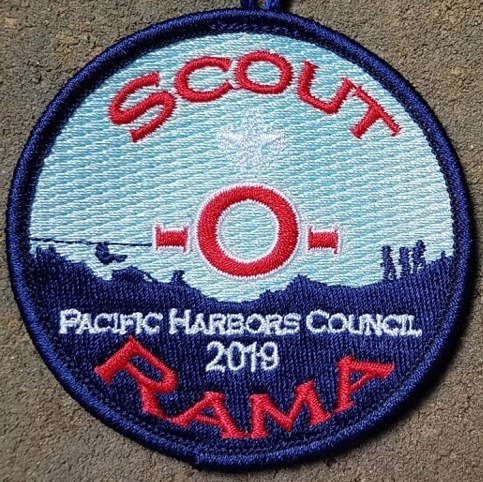 Coming on Saturday, May 11, 2019: Scout-O-Rama 2019! 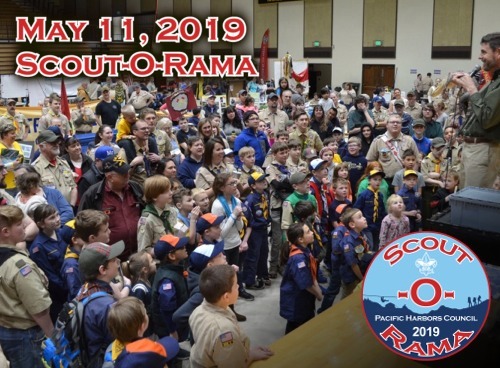 Only 17 more days till Scout-O-Rama 2019! Thank you to our 2019 Platinum Sponsor, O Bee Credit Union! 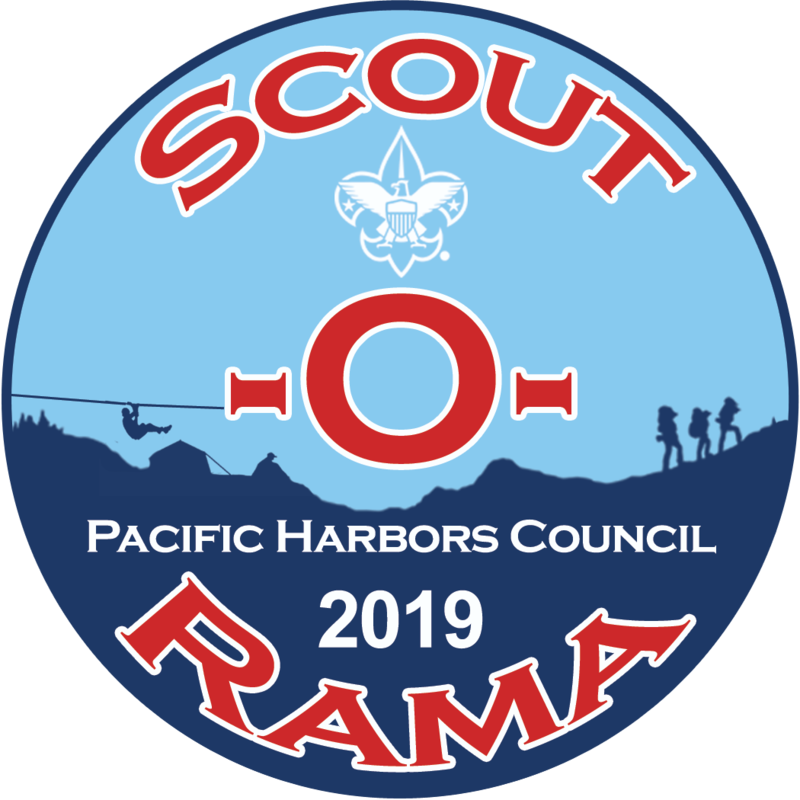 Scout-O-Rama 2019 is a family-friendly Scouting skills show or 'Scout Con', open to the public, offering over 60 different outdoor related activities to learn more about Cub Scouts, Scouts BSA, Sea Scouts and the Venturing program for older teens. Girls in the Boy Scouts? YES! 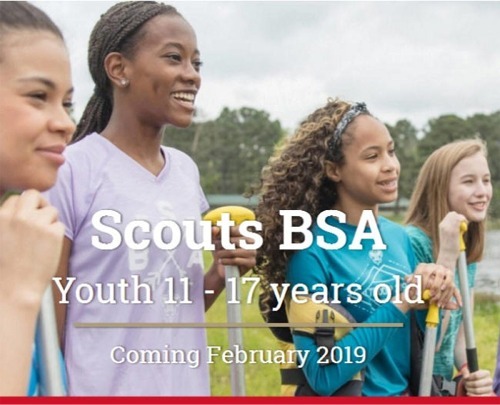 Find out about the the Family Scouting program for girls in the BSA for girls ages 6 - 10, and the all-new Scouts BSA program for girls 11 to 17 years old! 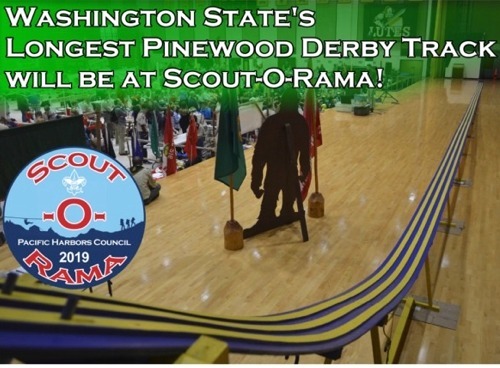 A Scout-O-Rama is a huge, interactive, indoor-outdoor hands-on "Scouting Experience", featuring family friendly activities, informational displays and hands-on opportunities to demonstrate Scouting's value to today's active families. Try your hand at crossing a monkey bridge, ride a merry go round made of logs, play 'human foosball', learn to cook in the outdoors, explore a cave, tie knots, try climbing a rock wall, face painting, enjoy family friendly entertainment, munch on hot dogs & fixings, and race a Pinewood Derby car down the Longest Pinewood Derby Track in Washington state and more! The Reptile Man will also be there with alligators, snakes and lizards and Rhubarb The Reindeer from the Tacoma Rainiers and the Berenstain Bears from OBee Credit Union will be there too! Only 5 indoor booths left! Only 17 more days till Scout-O-Rama, and there have been some significant developments in the past week! Rhubarb The Reindeer from the Tacoma Rainiers will be at Scout-O-Rama! 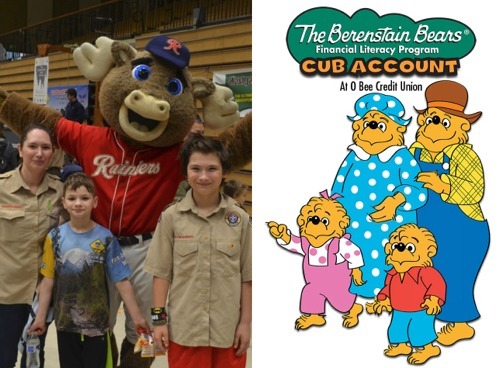 The Berenstain Bears from O Bee Credit Union will be at Scout-O-Rama! 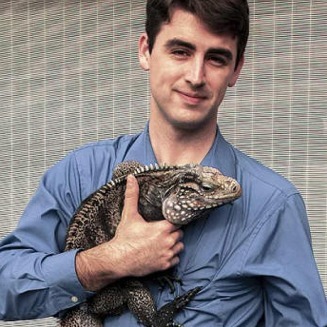 The Reptile Man is back! 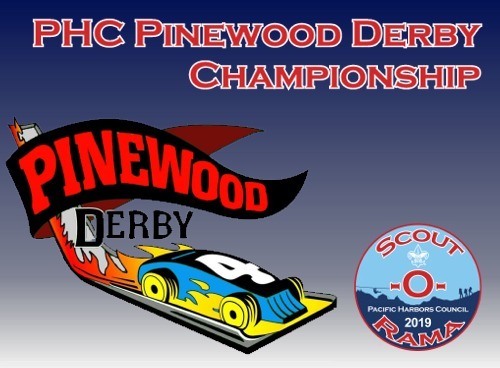 Pacific Harbors Council Pinewood Derby Championships! Register your car today, and try for the Council Championship! Registration starts at 10:00 AM, racing begins at 11:30. Trophies to the top 3 finishers. Racing included with admission fee, must purchase tickets to race. Limited to the first 50 registered contestants. The official patch design has been revealed! 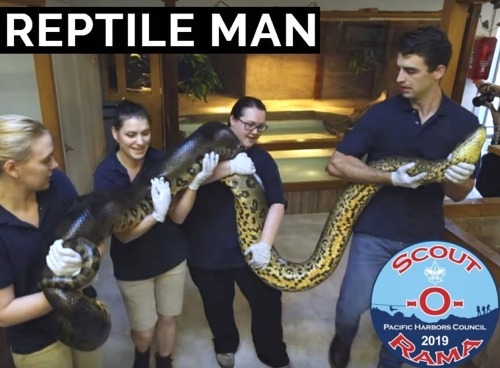 The Reptile Man will be back at Scout-O-Rama 2019, with his Cuban rock iguana, African Sulcata Tortoise, American Alligator, Rattlesnake, Cobra, Python, and more! Yes it's true, girls CAN join the 109 year old youth program in the BSA; "Scouts BSA" for girls and boys ages 11 to 17. 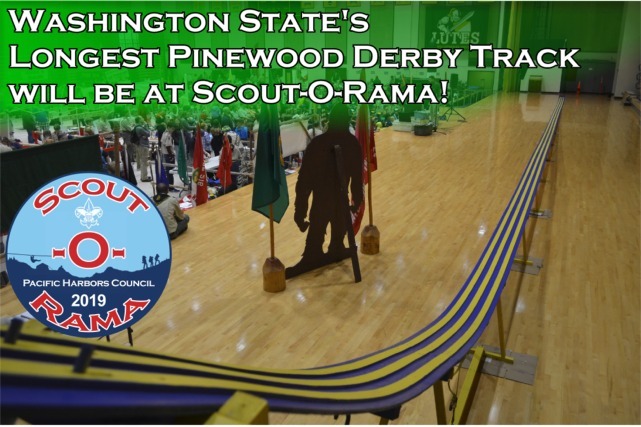 Bring your Pinewood Derby cars, and race them on the longest track in Washington state! Pack 27's Cave Exploratorium at Scout-O-Rama 2018! The General Public is Invited! Fun for the whole family! For Scouts and non-Scouts alike! 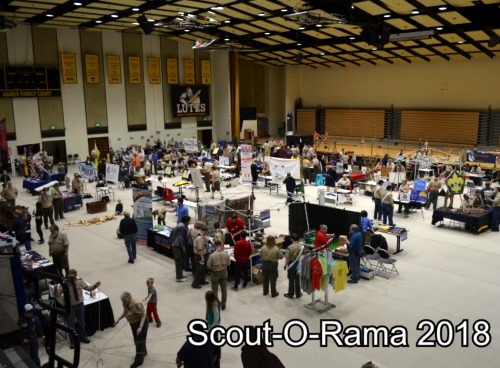 Scout-O-Rama is a family friendly 'Scout-Con' convention that promises fun for the whole family! 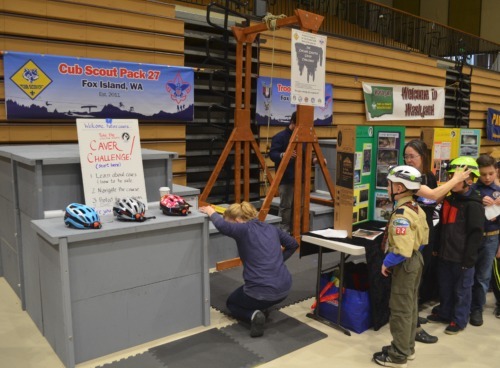 Learn what Scouts do in an interactive 'trade show' atmosphere, with interactive demonstrations of outdoor skills, camping, climbing, pinewood derby racing, games, arts & crafts, sports and much more! 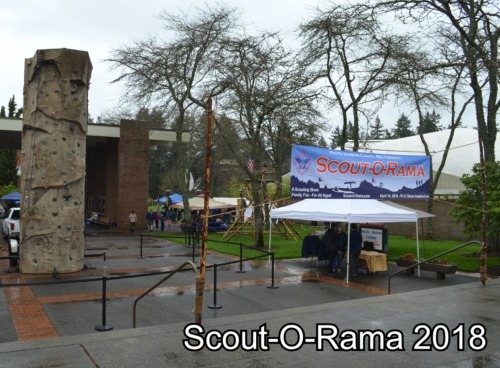 The Scout-O-Rama will be an indoor/outdoor display of all Scouting has to offer, featuring activity stations from units around the Tacoma area, to provide a Scouting skills demonstration, game, activity or other information. 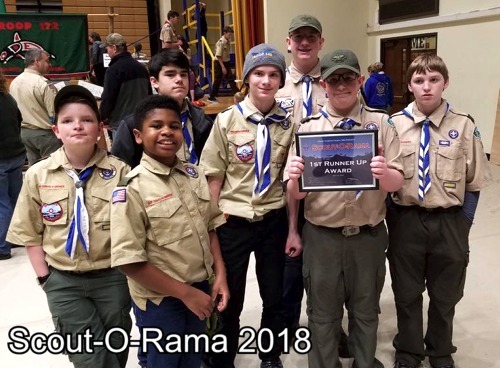 Check out the What is a Scout-O-Rama page for more detailed information. 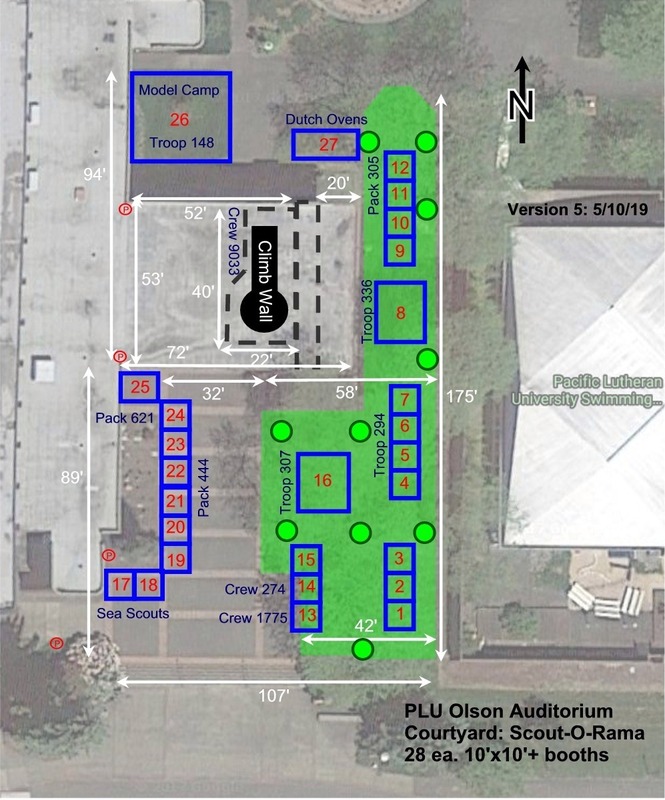 Scout Units and the general public can buy blocks of 10 tickets and receive discounted pricing. Save $20 on 10 tickets! 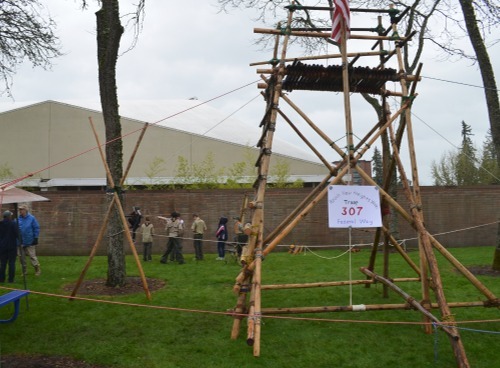 Each Scouting unit in the Council will have an opportunity to participate in this event, with the potential benefits being unit level networking with other Scout units, fun for the whole family and more. Units develop the idea for a hands-on activity that would give visitors a chance to actually "do" Scouting — whether it be learning how to make ice cream in coffee cans, demonstrating knot tying, flag folding, arts & crafts, games or finding out more about how to cook a meal using no pots or pans. All this, and so much more, could be the focus of a unit's 10' x 10' Scout-O-Rama display booth.